Physical Education is compulsory for all pupils and Years 8 - 10 are timetabled for the school gymnasium with boys and girls being taught separately. KS3 pupils have four periods of PE per week. The major games of rugby and soccer are taught to boys and hockey and netball to girls. Due to the integrated status of the school it is policy to teach Gaelic Games as time allows. Years 11 and 12 are divided into two main groups for PE; Tech and Non-Tech groups and they have an options programme available. It is usual for boys and girls to be taught together in these option groups. Years 11 and 12 have two periods of PE per week. 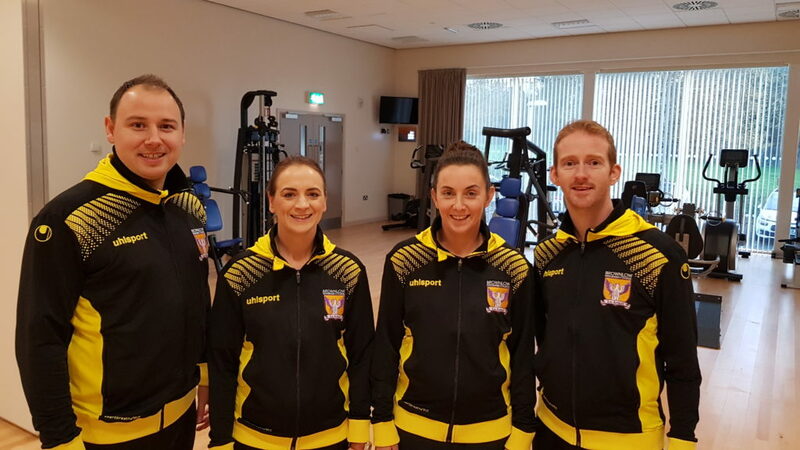 Whilst much of the leisure programme is based in school the PE Staff may also make use of Craigavon Leisure Centre. Other options have been made available, such as visits to Craigavon Golf and Ski centre and Centrepoint Bowling Alley. Athletics, Tennis, Rounders, Cricket and Baseball, form the major part of summer games. Developing knowledge, understanding and skills for balanced, healthy lifestyles and participation in physical activities (40%). This exam paper covers factors that affect the development of health and physical fitness. It contains short and multi-part questions and they are all compulsory. Developing and maintaining a balanced, healthy lifestyle (20%). This component introduces students to the concept of a balanced, healthy lifestyle and it also enables students to gain knowledge and skills that will help them develop this. Individual performance in physical activities (40%). This component is divided into two parts; Parts A and B. 3(a) Analysing, evaluating, planning, implementing and monitoring actions to improve skilled performance in selected physical activities (10%). In this section students should analyse and evaluate their skilled performances to identify strengths and areas for improvement. They should plan, apply, monitor and review their own short-term action plans to improve the quality and effectiveness of their skilled performances in specific areas. Individual performance is marked out of 25 in each activity.